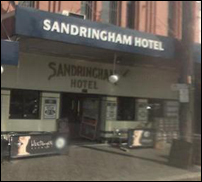 SYDNEY, Australia (CelebrityAccess MediaWire) — The Sandringham Hotel, a well-known and long-term live music venue in Newtown, has gone into receivership. Known locally as The Sando, the pub has played a central figure in Sydney’s music scene and the careers of several Sydney bands, including including Frenzal Rhomb and The Whitlams. According to the Sydney Morning Herald, the Sandringham's owners had racked up a debt of $3.6 million and their interest rate payments had ballooned from $16,000 to $48,000 following a default. The venue owner Tony Townshend, who bought the hotel in 2005, said that he had no warning from the receivership company Ferrier Hodgson before they arrived to take the venue over.